Our 2015 Vineyard Gallery schedule is jam packed with amazing artists. We kick off the season with the Granby Memorial High School AP Art Show, on April 2 through April 19. This show will feature artwork from students of GMHS. This show will be up for 3 short weeks, so don't miss this opportunity to see work by these young artists. 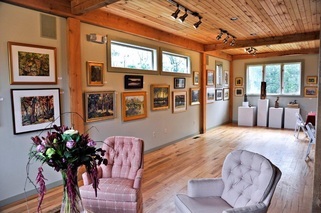 We finish up the year with the Granby Artists Association Open Studio Tour October 18 & 19th from 10am to 4pm, the Granby Land Trust Annual Juried Show October 30 through November 30 and the Granby Artists Association Winter Wonders Show, December 5 through December 31.